A cache of photographs unseen in public for more than 75 years is set to be sold in a Surrey auction house this month – with one of the images purportedly capturing the ghost of a soldier. But it is an image titled The Shadow of the Shade, captured at The Old Hospital, Rye – a building that is still standing to this day – which most grabs the attention. Accompanied by a short story manuscript describing the events around the picture and Hillsworth’s subsequent experiences, the atmospheric photograph shows a young girl in a white dress sitting on a step in front of a brick-built house nestling in the shade of acacia trees. The haunting image will be offered for sale alongside hundreds of others, grouped into 28 lots by theme. Many are titled, but few clearly identify the scene or people pictured. Those that do include The Inner Harbour, Polperro, Rye Harbour, Romney Marsh and Port of London. Others are more romantically titled, such as Sunshine floods the narrow way, Waiting for Fatherand The last low rays their Benediction give. 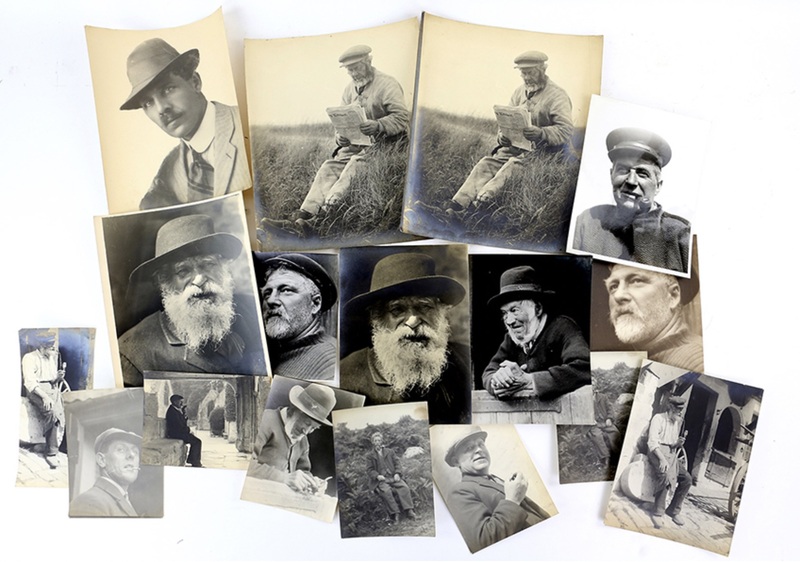 He developed and printed many of the prints himself from glass plates on various papers at home.It is thought that after his death the glass plate originals were thrown into The Basingstoke Canal. It is one of the most extraordinary archives I have ever seen, not only because of the sheer talent of the photographer, but because the compositions themselves and the scenes they capture are so magical. The sale takes place on March 22.